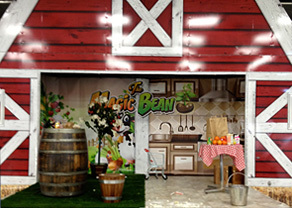 The MAGIC BEAN is the perfect blend of education and entertainment for your fair. With a theme of "from the farm, to the kitchen" kid's will learn things that never crossed their little minds. You'd be surprised when polling kid's "where does milk come from?" some of the answers we get. 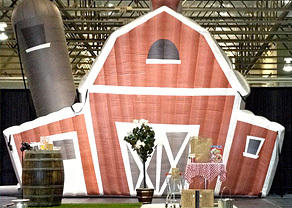 This is your sollution to promote agriculture in a fun way. 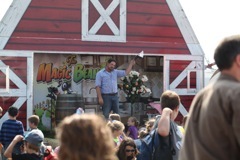 We can perform on your stage or we can provide our mobile stage unit that is a one stop shop for stage, set and sound. All we require is power and we'll take care of the rest.